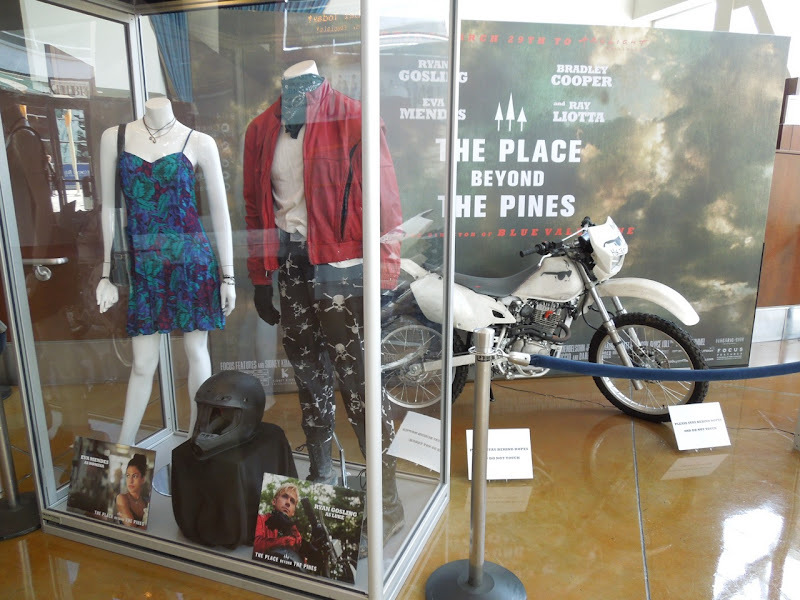 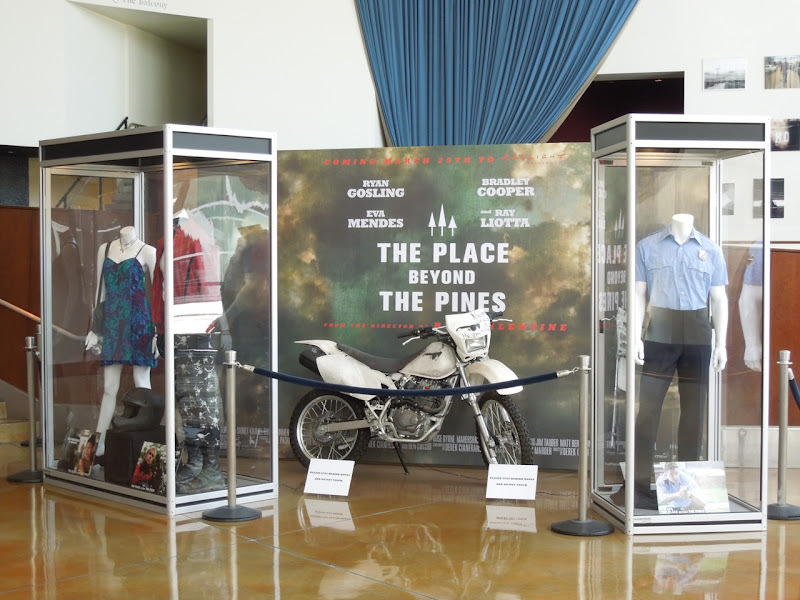 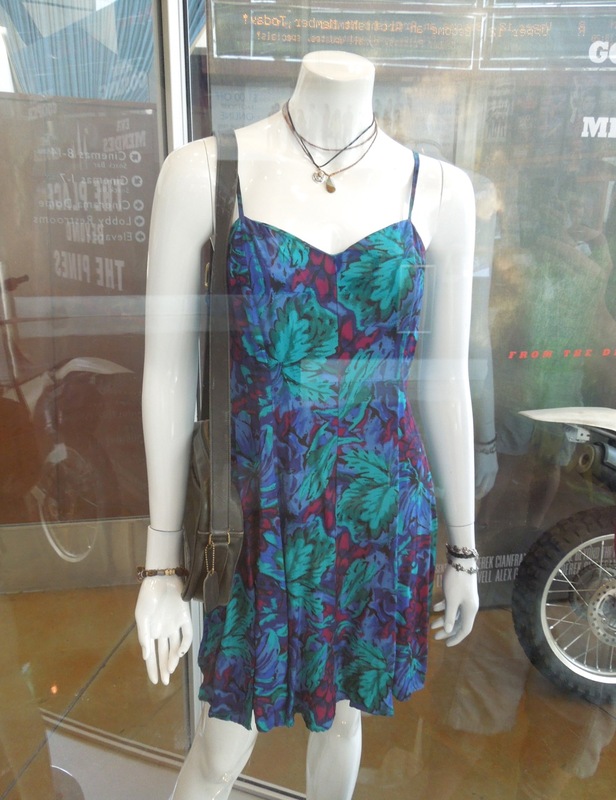 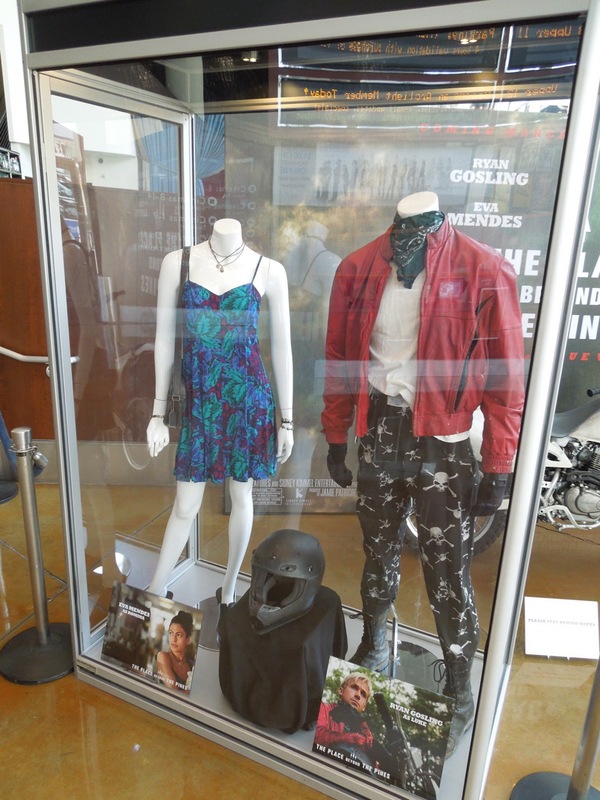 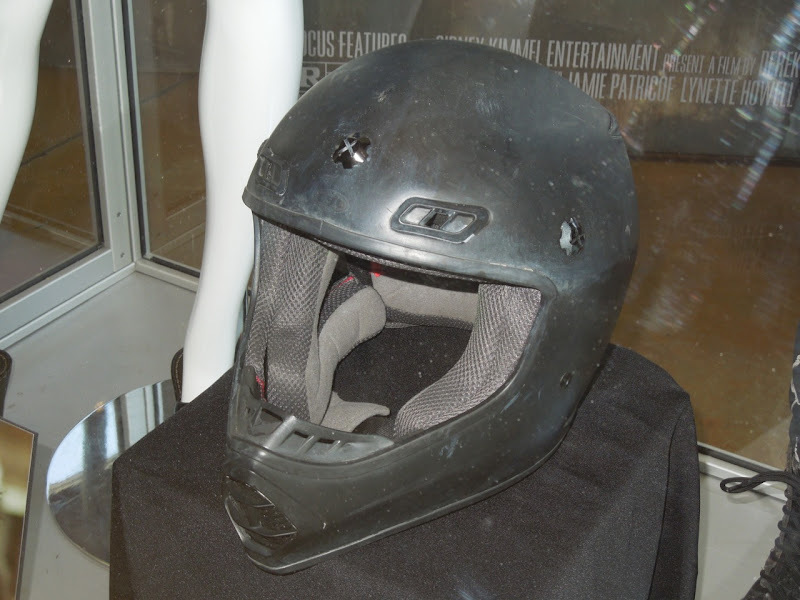 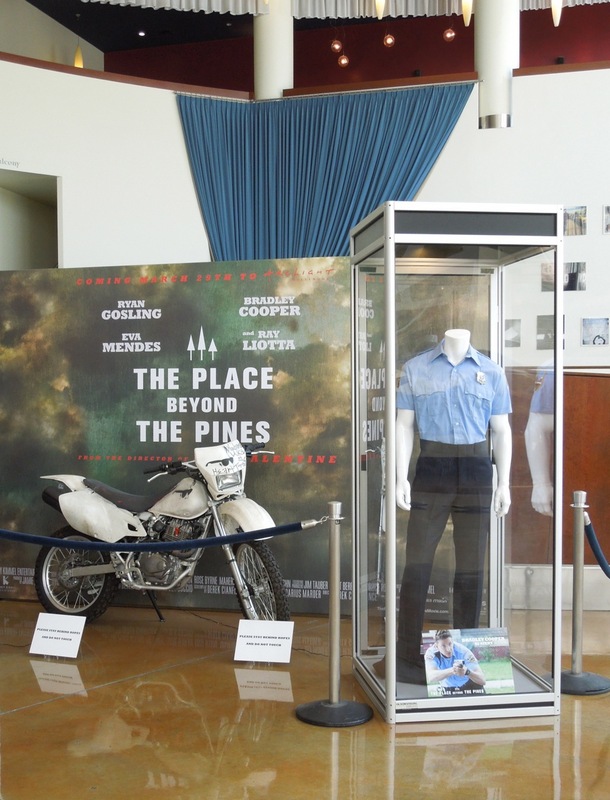 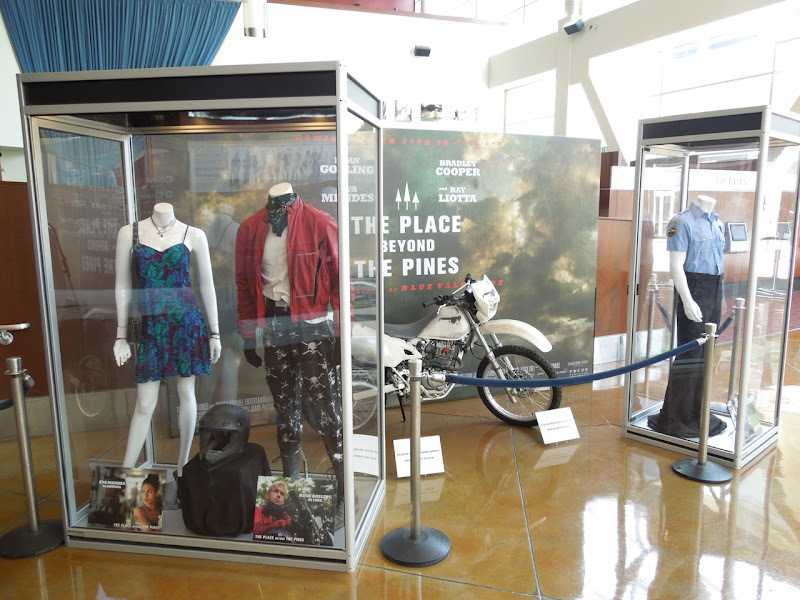 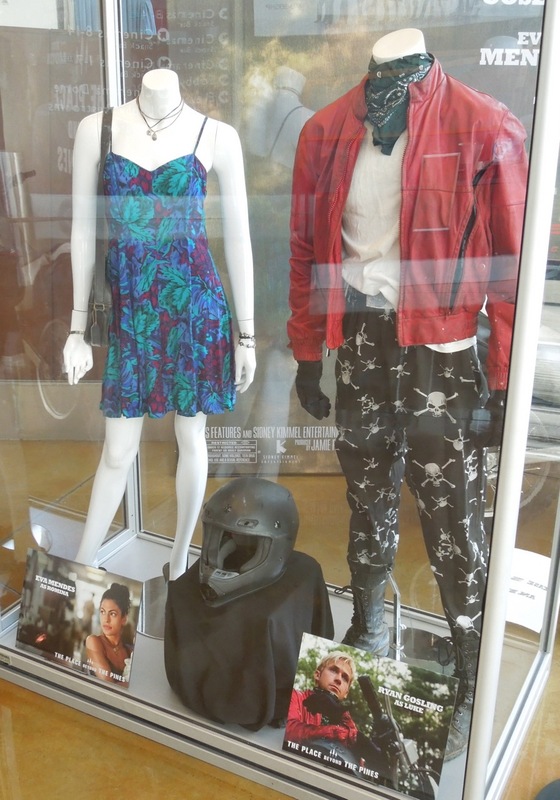 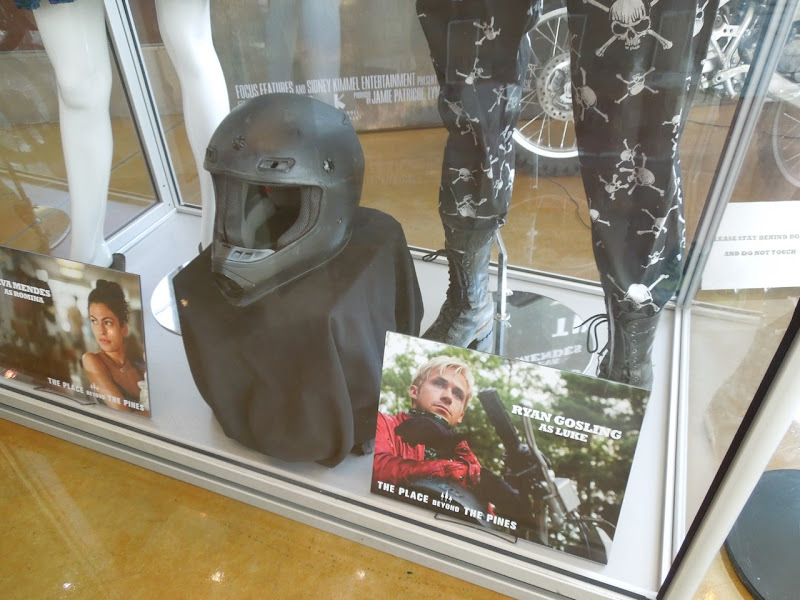 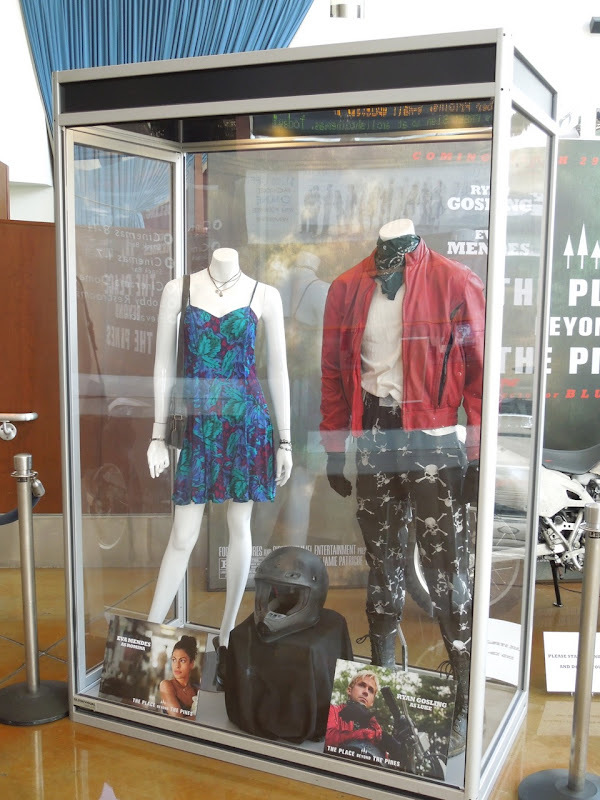 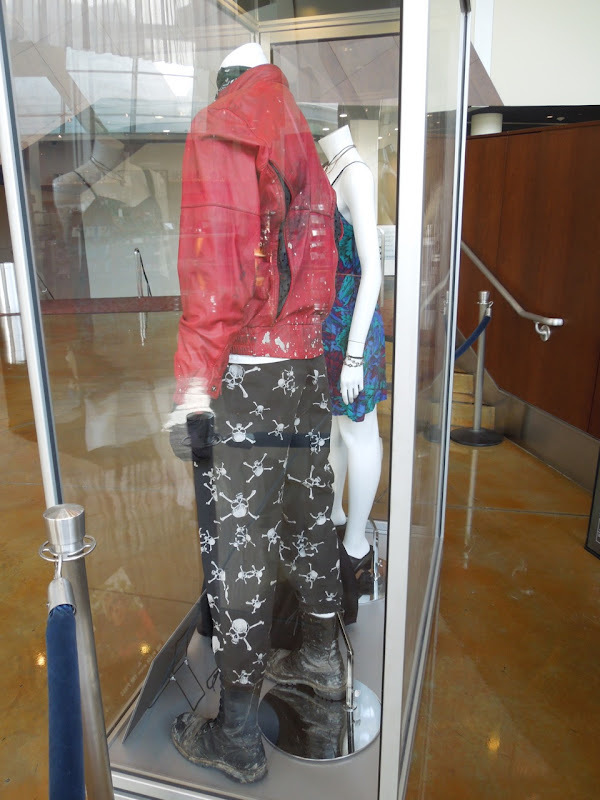 To promote the new bank robbery drama, The Place Beyond The Pines, the ArcLight Hollywood cinema had these original costumes worn by Ryan Gosling, Bradley Cooper and Eva Mendes, plus one of the motorbikes featured in the movie on display on March 21, 2013. 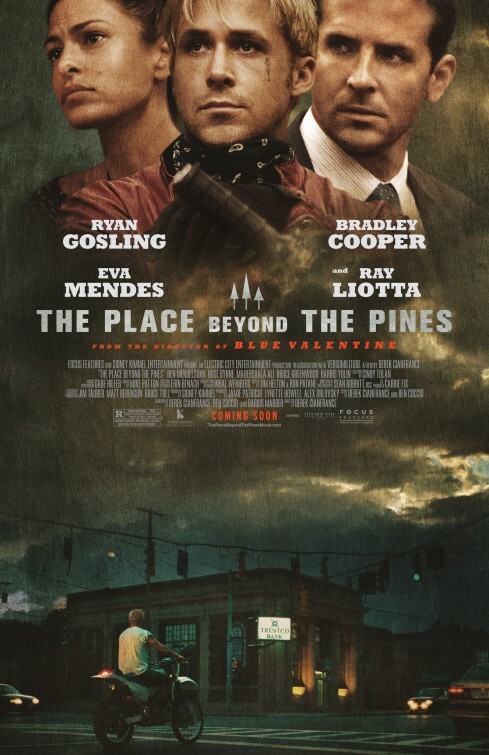 In the crime drama from Derek Cianfrance, Ryan Gosling plays 'Luke', an expert motorcycle stunt rider who wants to reconnect with his former love 'Romina' (Eva Mendes), who has secretly given birth to his baby. 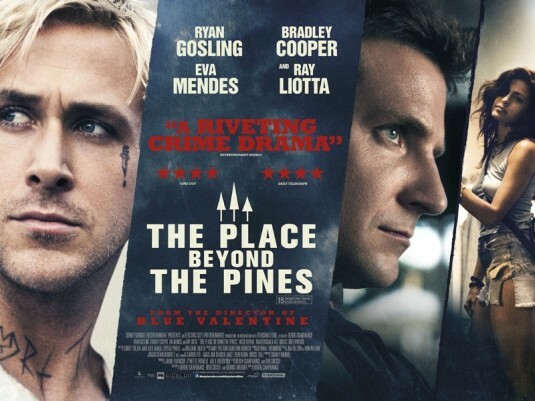 He quits the carnival life to provide for his son by robbing banks using his superior riding skills, but is ultimately pursued by ambitious police officer, 'Avery Cross' (Bradley Cooper). 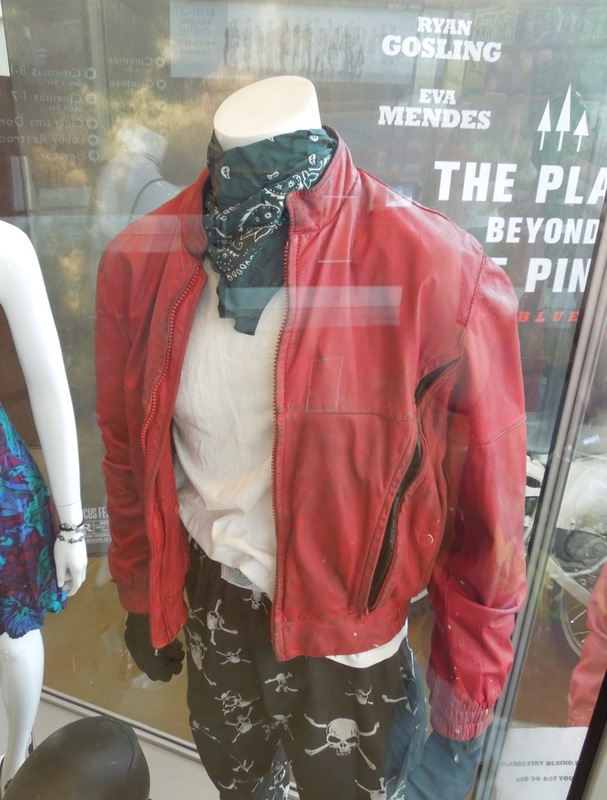 Erin Benach is Costume Designer for the movie and Eva Mendes wears this costume as Luke's ex-girlfriend and the mother of his child. 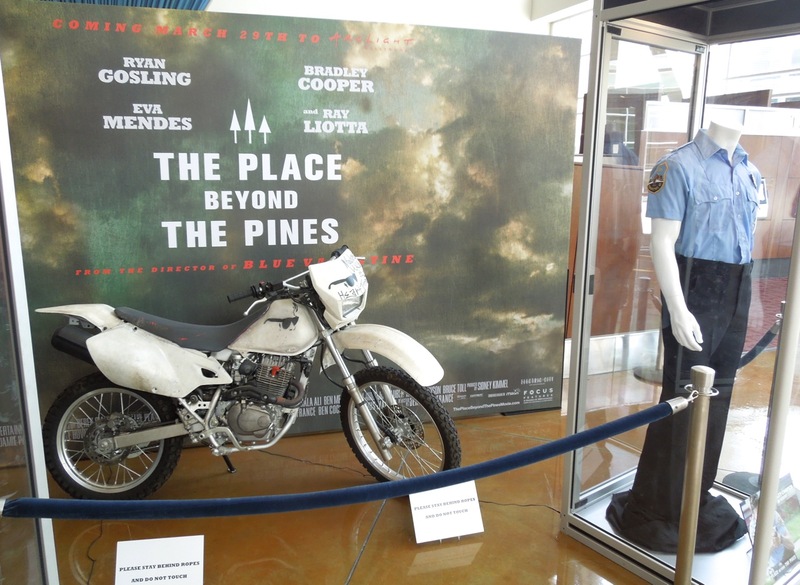 Ryan Gosling has bleach blond hair and a body covered in tattoos to play 'Luke Glanton', the mysterious bank-robbing biker. 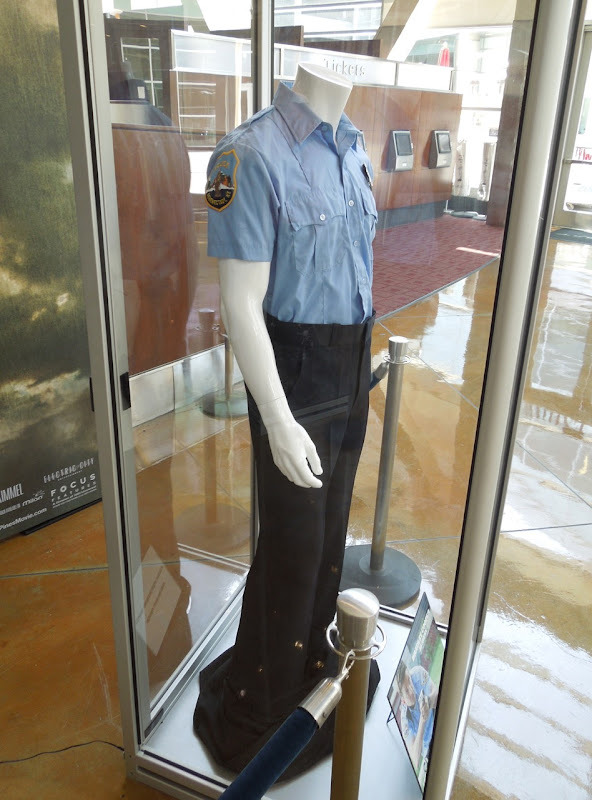 If you like this outfit worn by Ryan Gosling, be sure to check out these original film costumes and cars from Gangster Squad that the actor recently starred in, on the other side of the law. I believe that this sporty white motorbike is a Honda XR650R, which featured in Luke's getaways and crazy death-defying stunts in the film. 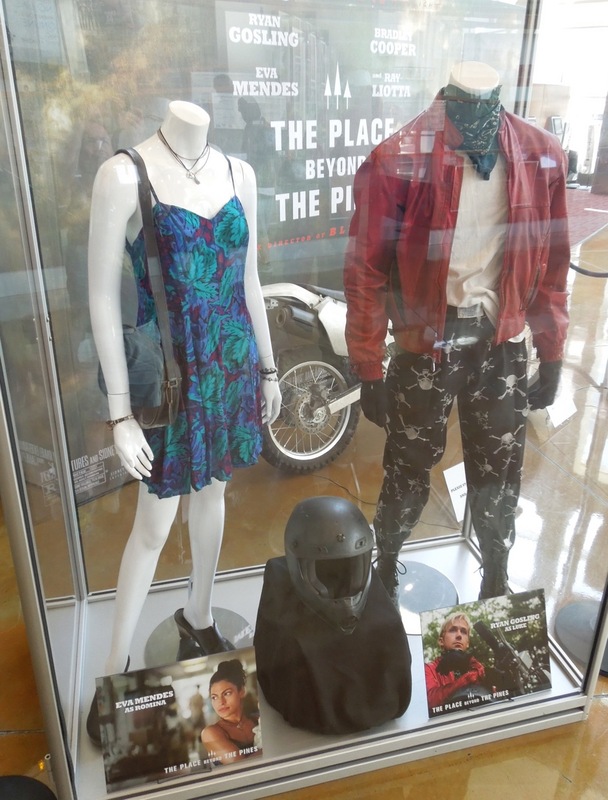 If you're a bike fan, be sure to also check out these motorcycles from Captain America: The First Avenger and Ghost Rider: Spirit of Vengeance. 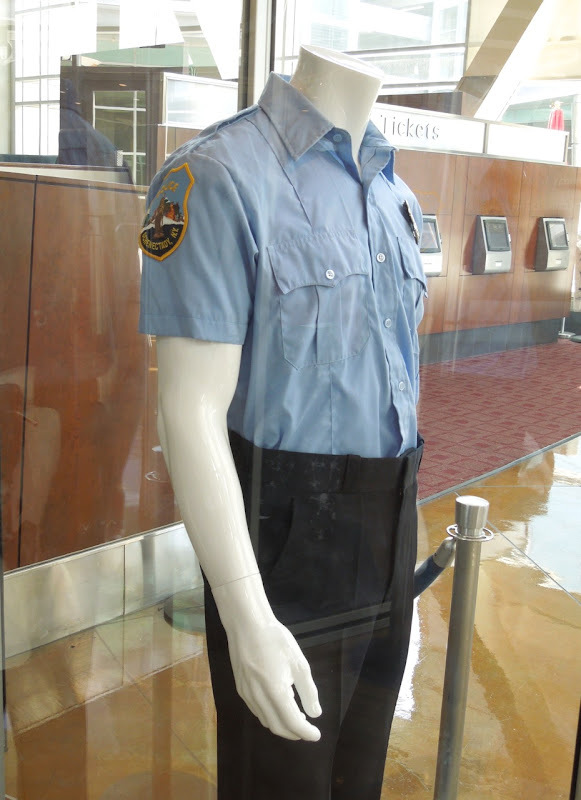 Who doesn't like a man in uniform? 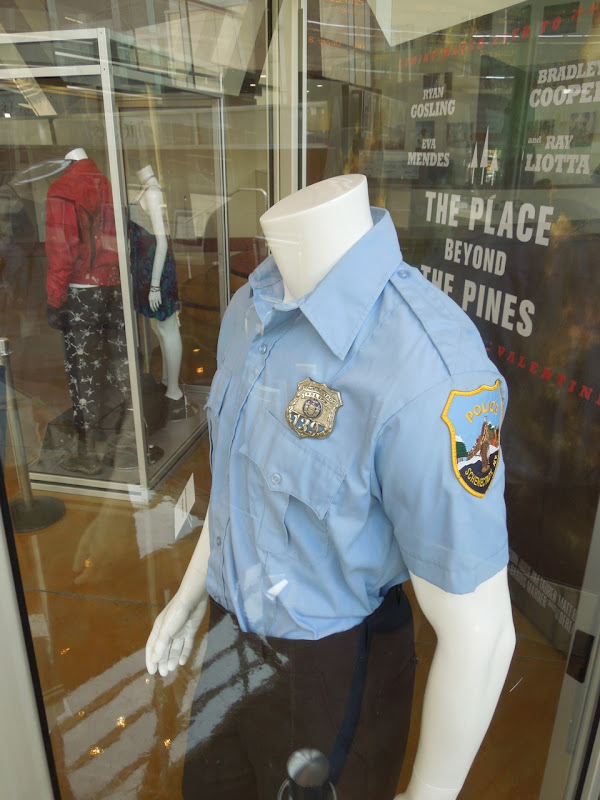 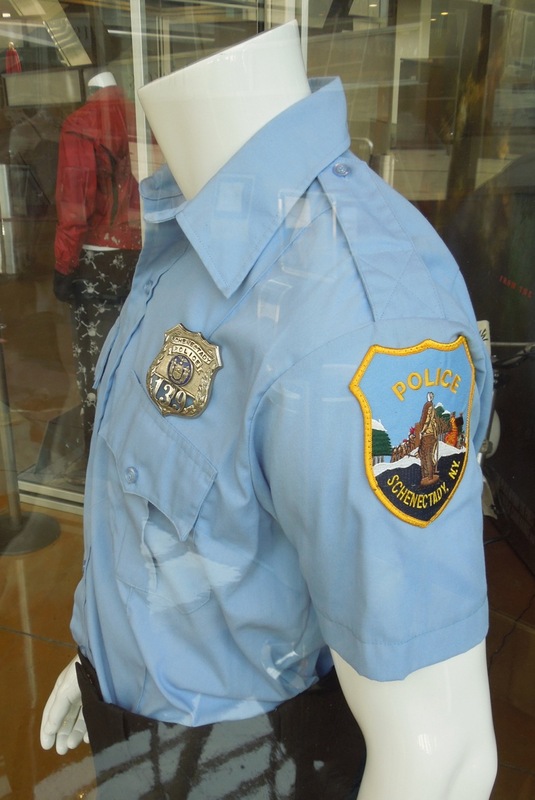 This is the Schenectady, New York police officer uniform worn by Bradley Cooper in the movie. 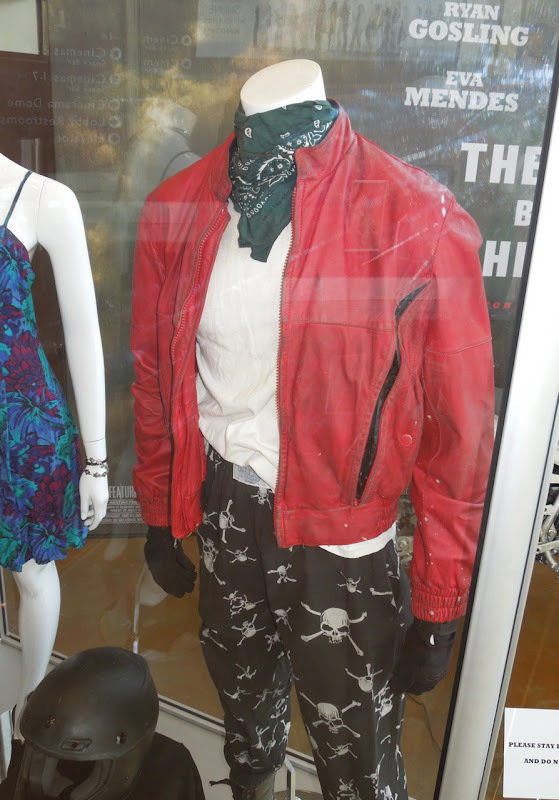 where can I get a pair of the skull pants Luke wore! 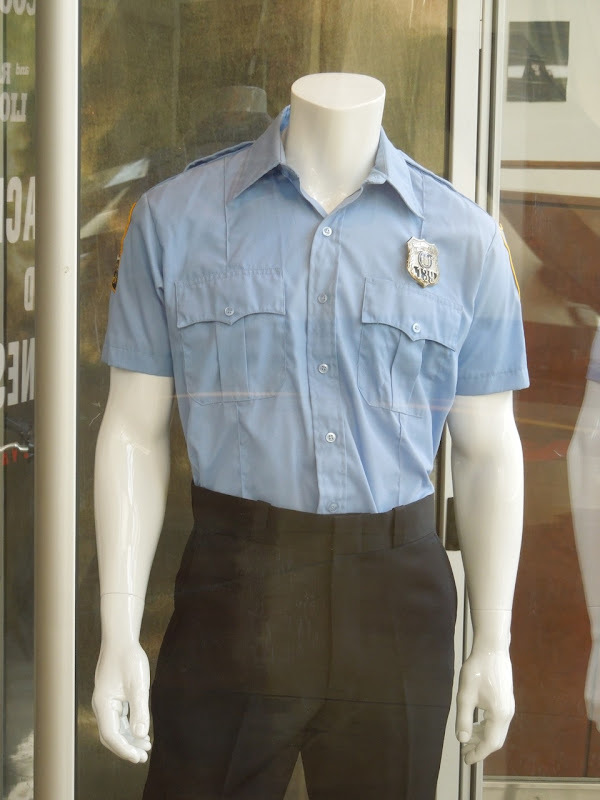 Sorry I don't know, but maybe someone reading this does and can help! 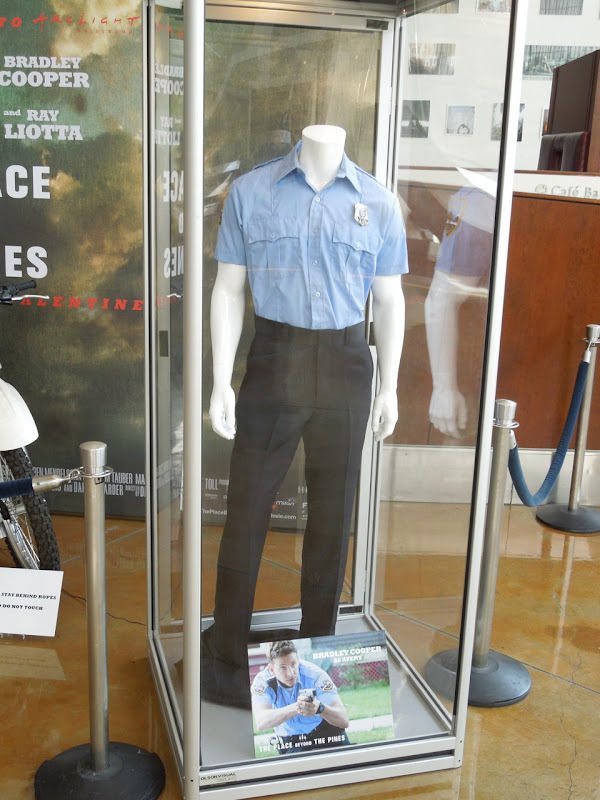 what kind of boots are those that ryan gosling wore? 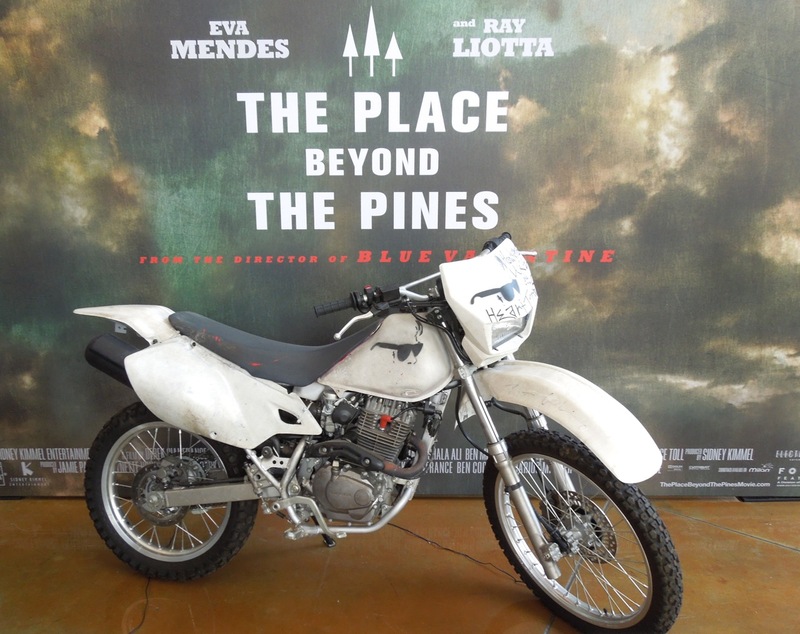 That is not the bike from the movie....just look at it. 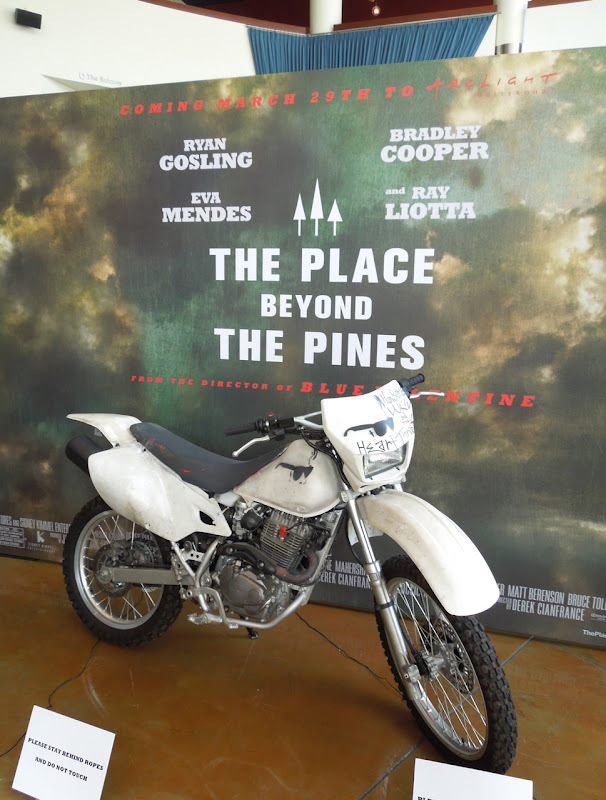 The forks, paint, no radiator etc.